With the growth of workforce mobilization, the demand for instant network access has increased substantially. This, combined with a continually increasing amount of outside users, like special partners and customers connecting to a company network, is contributing to the de-centralization of entire organizational networks. In addition, other trends like an increased amount of network devices and users, newly implemented applications, virtualization and many more are factoring into failing security measures for businesses and their networks. Nowadays, quick-moving, advanced cyber-attacks are presenting organizations with a complicated challenge when it comes to defending important resources without getting in the way of network performance. 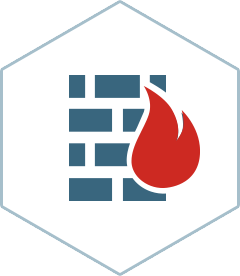 In order to prevent these unwanted attacks from gaining access to organizational networks, many companies are now turning to specialized firewall technologies that are incorporated in next generation firewalls. A next generation firewall UTM program always looks for specific visibility issues to be eliminated through traffic decryption regardless of a particular protocol or port. In addition, this specific security program offers unique processing abilities that provide IT infrastructures with the control needed to support important operations through filtering web traffic based on defined user security policies. As the premiere software provider in next generation firewall protection (NGFW), Nebero Systems offers your organization elite network protection including a top of the line UTM firewall security system that ensures your web traffic is safeguarded against all types of internal and external threats. Providing all networks with a state-of-the-art, next generation firewall protection system against botnets and download attacks, our expert team will provide connectivity protection for small to large sized organizations through our diverse VPN options. The Nebero Systems UTM next generation firewall consists of 7-layered identity recognition technology that provides tangible intelligence and specialized controls that allow organizations to finalize security measures for their future-ready security. Not stopping there, Nebero Systems will create an in-depth report that will help you interpret exactly what is happening with your network and how next generation firewall protection is improving its overall performance. Through our Unified Threat Management (UTM) program, Nebero Systems utilizes a next generation firewall as the main component that allows for in-depth inspections up to Layer 7. The rules of the next generation UTM firewall are defined at three separate levels - global, user and a particular devices IP address. Because of the applications easy usability, DNAT, SNAT and port based NAT, regulations can be effectively created by a network administrator for protected access to internal servers and devices from outside of the network. Additionally, port based NAT permits access to a variety of internal devices and servers from the Internet by sharing individual public IP addresses. By utilizing the Nebero next generation firewall UTM, a perimeter network or DMZ is given support to allow for maximum security for ERP and application servers. This ensures optimal protection against both internal and external network attacks. Without question, when it comes to next generation firewall protection, Nebero Systems has you fully covered.